Les Paul's accounts and anecdotes seem somewhat fabricated - the idea of Django asking him "Am I good?" does not have the ring of truth to me (all other accounts suggest Django knew he was the bees knees). 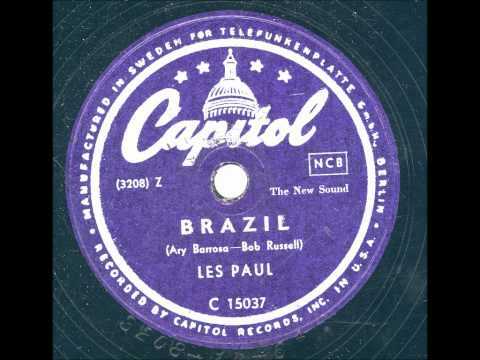 And unless there's another recording we're missing here, the idea that Django has recorded a "copy" of Les version of Brazil is also just seeming like Les is flattering himself. Django's playing in 1953 here is modernized for sure, but it's gone in a different direction - it's not like he started experimenting with overdubbing and special effects. Saying he was totally confused with the electric guitar; it was a real opponent to him is likely a bit of hyperbole and exaggeration that North Americans are so fond of using in casual speech - I can not really imagine Django "struggling" with any guitar, he's the master. Probably closer to the truth is that he just prefers the feel, the setup, and possibly the sound of the Selmer - it's not as comfortable to play on an unfamiliar instrument. You know, like trying on a new pair of shoes, they are not feeling good until you break them in. It has been a few years since I read it but I seem to remember the Michael Dregni book suggesting that Django was more 'disappointed' by the guitars he found in North America rather than stumped by them. As much as I love Les Paul I agree with previous posters comments about him possibly embellishing Djangos comments. I would suggest that Les's greatest achievements are the technical advances in recording rather than guitar playing. Even the guitar that bears his name seems to have been mainly designed by others with his endorsement. I would also suggest that Django had a greater influence on Les rather than vice versa. I would also suggest that Django had a greater influence on Les rather than vice versa. Stuology, you also use the argument that he reverted to his Selmer after recording with archtops. But I don't think it is a valid point. Based on Django reported behavior, he probably chose his setup just before starting recording based on what was available. For example, when he came back from US, over the course of only few months (with sometimes one recording session every two weeks) he recorded with totally different setups: acoustic Selmer style, with an Epiphone (the one in the movie) or with a Selmer mounted with a DeArmond mic. It is worth noting that the Epiphone was not his but belong to Eugene Vees. 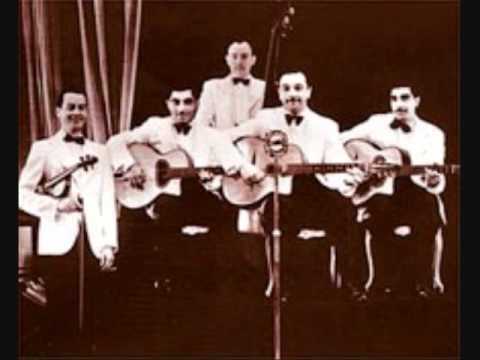 That is another reason why Django didnt play the Epiphone more often (only on sessions where Eugene Vees was his rhythm player). 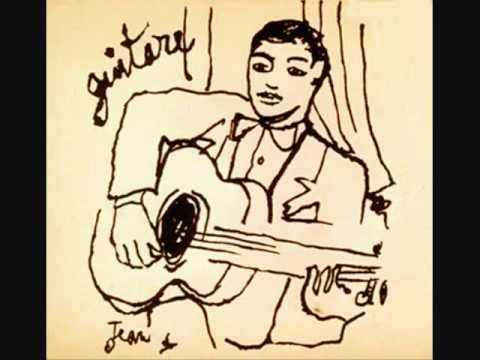 I think that the idea that Django struggled with any guitar is pretty laughable (that is unless it was a really bad guitar). Just my speculation. "is likely a bit of hyperbole and exaggeration that North Americans are so fond of using in casual speech"
We tell it like it is. Having saved the free world from tyranny gives us that right. Haha, yeah gives us the right to be (self-)righteously wrong :-) ??? Nah, I just believe in telling it like it is. Like Les himself then. He was American which made him superior to Django and able to massively overestimate his own achievements whilst displaying stunning disrespect of the contributions of Non Americans. A bit like ignoring the Russian contributions to the two world wars. I believe in telling it like it is too, you're are a troll and an ignoramus. Congrats to Wim, always brings out the best in people.